Ever since my arrival as U.S. Ambassador to Estonia on a frosty winter evening in 2009, I have been confronted with the loud volume of the Estonian people’s silence. For a typically extrovert American, keeping a conversation going in this country can often be challenging. That is until the American learns the power of Estonian silence and the astounding success and rebirth of freedom in a nation that quietly never gave up on re-independence throughout decades of occupation. 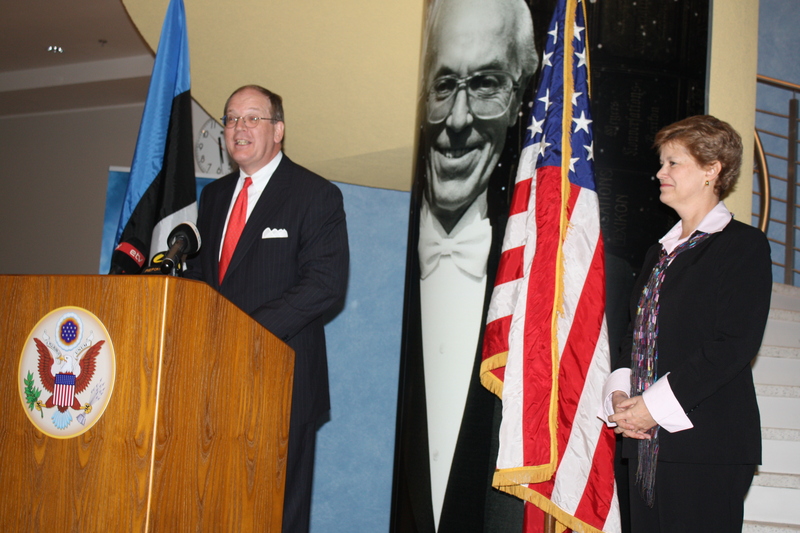 On August 20, 2011, my wife Hallie and I will be joining our Estonian friends in celebrating their 20-year miracle of success. Tens of thousands of Estonians will take part in events in Tallinn and throughout the country in what is expected to be the most visible (and even loudest) outpouring of patriotism by the Estonian people in a decade. At a time of considerable political and economic turbulence throughout Europe and in the United States, it is particularly poignant to celebrate not only Estonia’s existence as a free country, but also its standing as a proud nation in the 21st century. Emerging today from the most recent world-wide recession, Estonia is almost everything so many other countries today are not. First of all, Estonia and its government are solvent. With negligible national debt and an equally insignificant government budget deficit, Estonia is part of a very small group of countries that can lay claim to economic health and positive prospects. There are of course challenges, including high unemployment, inflation, and unmet demands for better salaries and a social service improvements. But in comparison to apocalyptic headlines, such as Time Magazine’s most recent cover proclaiming “The Decline and Fall of Europe,” Estonia stands apart. No one here believes that Europe is about to fall, and more than 70 percent of Estonians fully support their country’s adoption of the stressed Euro. Meanwhile, Estonia stands ready with scant complaint to do (and pay) its part to help Europe overcome its ongoing debt crisis. And for the part of Europe that is still struggling with its democractic, economic, and social development, Estonia has invested both its expertise and resources to help out. Estonians are also fighting and sacrificing from Afghanstan to the Horn of Africa and the Middle East. When asked “why does your small country do so much,'” leaders here are a bit taken aback, explaining that nations and people stood by them during the darkest hours of occupation and its payback time! Estonians see the problems on their and our side of the Atlantic with traditional stoicism. Privately, I suspect, they wonder why the rest of us are so slow in implementing to them obvious solutions. They have seen much worse and not only survived, but excelled. For Estonians, there are no problems that can’t be surmounted with stubborn commitment to the solutions, no matter how painful they may be. Their experience, looking at their past, is to live for the future – focussed and most of all – quietly. I am really looking forward to being quiet tomorrow, together with our wise Estonian friends. On Wednesday, I attended a thoughtful and touching commemoration in the lovely town of Tori to honor Estonian lives lost in defense of their country, including a tribute to American volunteers who came to the aid of Estonia’s independence struggle in 1918. A beautiful church in Tori had been restored by private community initiative after its destruction by Soviet forces after WW II and has since become a focal point of Estonia’s defense of freedom. 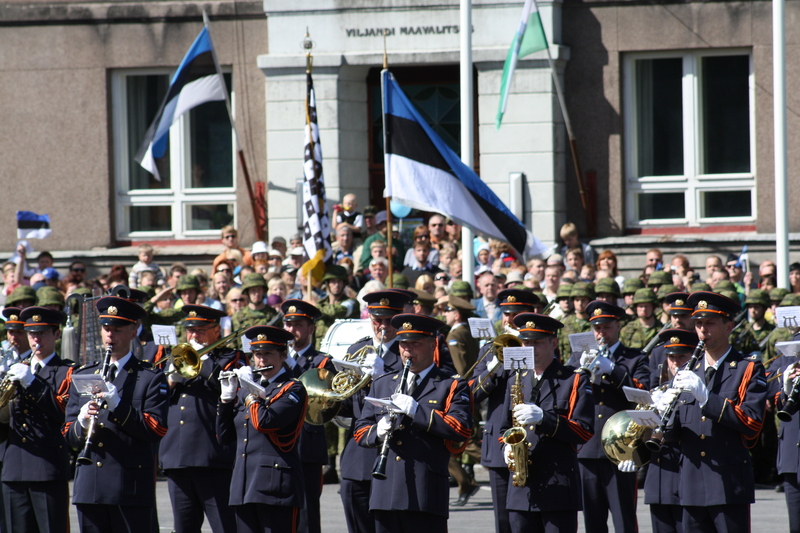 The following day, I attended the Victory Day Parade in Viljandi also recalling Estonia’s resistance and victory over foreign occupation and simultaneously ringing in Jaanipäev – St. John’s Day and Midsummer’s Eve – with the dispatch of Midsummer torches to each of Estonia’s 15 counties. The parade was festive and joyous. The military bands, including one from Baltic neighbor Lithuania, provided a musical feast. The audience, both Estonian and foreign, was delighted. Later that day, my wife and I observed the happy and hurried path beaten by Estonians to their respective family and friends’ Midsummer’s Eve bonfires. Some of these traditions are very old and some are new, and both represent a reassertion of Estonia’s national spirit in a new age, where old customs are not forgotten and new markers are layed down to guarantee the independent future of the country once and for all. 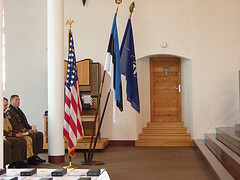 I am proud of the role we Americans have played and contiue to play in this Estonian quest.